We all know what it's like: In some places we sweat more, and in other places less so. Evolution has made a fine distinction between different areas of our bodies. That's why NATURAL EVOLUTION functional clothing incorporates "dry zones" in areas where we sweat more. In these areas, the material and performance ensure that sweat and moisture is transported to the outer layers so that it can evaporate more quickly. 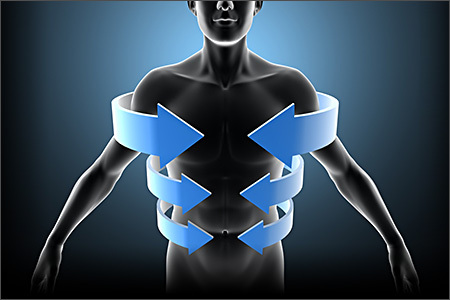 Evaporation and insulation zones are tailored to the body's requirements. 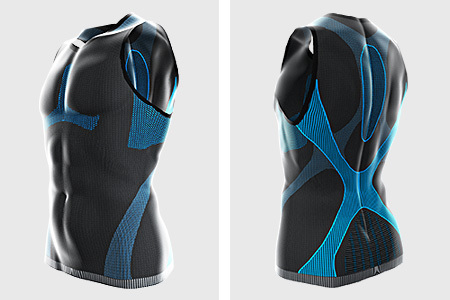 This is a body-mapping system which maintains a "feel-good" temperature of 21°C for longer.